The Victorian Government has announced plans to to host the inaugural Melbourne Esports Open in September. The Minister for Tourism and Major Events John Eren announced the deal over the weekend. According to the Minister, the Melbourne Esports Open will be Australia’s biggest esports event yet, with 10,000 people tipped to attend each day to see a suite of top professional teams in action. No word yet on the specific games or teams that'll be involved. Regardless, the government says the first Melbourne Open will consist of a packed weekend schedule of top-level professional esports competition in arenas complete with giant video screens, full concert lighting and concert-level audio production. This year’s event will take place at Melbourne & Olympic Park, filling the likes of Rod Laver Arena, Margaret Court Arena and the Melbourne Park Function Centre during the first weekend of September 2018. Eren says the event will attract the world’s best gamers and thousands of visitors from interstate and overseas to Melbourne, positioning the city to become the esports capital of Australia. “With millions of gamers both at home and abroad, it’s time to bring all the action and fanfare of esports to our backyard," said Mr Eren. The government called it "great news for the 560,000 esports fanatics across Victoria" and say that The Open will strengthen Victoria’s credentials in the digital games industry and tap into one of the world's fastest growing and lucrative markets, with an audience of over 385 million people. The event is is expected to generate up to $25 million for the Victorian economy over five years, supporting jobs and boosting local business. 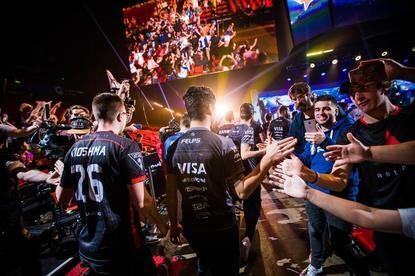 Funding for the event was secured through the Victorian Government's Major Events Fund and Visit Victoria will be working with TEG Live and ESL to deliver the Melbourne-based event until 2022. The Melbourne Esports Open will take place on the first weekend of September 2018.